I think this Spike Ball is really cute. It reminds me of a bunch of “cootie catchers” all stuck together. 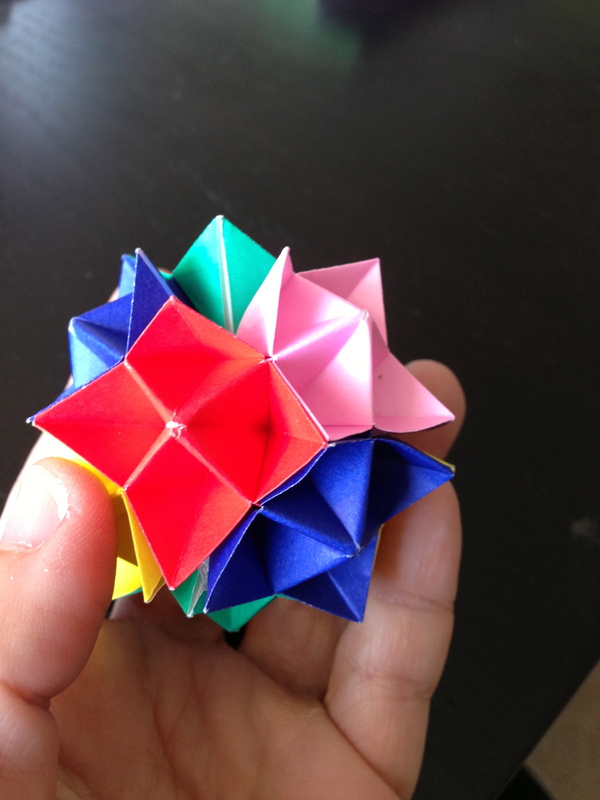 This interesting project was initially designed by Rona Gukewitz and Bennett Arnstein in 1996 in 3D Geometric Origami: Modular Polyhedra by Dover Publications.